My publisher might be small (one book released and another in the queue), but I was determined to produce a hardcover edition for my debut novel. Why? 1. As a consummate book lover I've always preferred hardcovers. Sure they're a pain to lug on vacation but they have real weight to them. And the paper doesn't yellow or the binding fall apart after ten years. 2. Serious books always come out in hardcover. A straight to paperback book is like a straight to DVD movie. 3. Given that most independent books don't come in hardcover, and it's my goal with The Darkening Dream to hold production values to the standards of New York's finest, I thought a hardcover would help make the book look like the classy publication it is. 4. Since the setup costs for a POD (Print On Demand) book are low, it seemed — erroneously as it turned out — that it wouldn't be much extra work to create a hardcover edition. And even if I didn't sell many, I wouldn't be out much money. Enough with the reasons. How did I do it? Finding a POD printer was a given. No way was I going to pay to print and warehouse an offset run. And as far as I know, LightningSource is the only mainstream POD printer that will do a proper black and white, novel-sized hardcover. Others do photobook hardcovers, but those have color interiors, and are way too costly. LSI is owned by Ingram, distributes through them and Amazon, and offers seven sizes of casebound (integrated color cover) and three sizes of color dustjacket hardcovers. All of them are priced well. A friend of mine had used them, so I ordered her book. The quality is good, very similar to most offset hardcovers. The cut of the pages is smooth and aligned, which I actually prefer, but you don't have the option for that ragged sewn look that was popular in the 80s and 90s. The paper is heavy and comes in white or creme (which is what I used). The printing itself is about 5-10% worse than the best offset hardcover printing. It's nice, but I can tell it's not the world's nicest. Still, it's much better than a BookClub hardcover and more than acceptable. It's certainly no worse than most of the hardcovers in my extensive (10,000 book!) collection. My book designer recommended that we choose the same paper size for both the trade paperback and the hardcover, that way they could share the print ready file. To that purpose, I went with 6″x9″ for both. The hardcover is actually slightly bigger anyway because the binding is thicker and overhangs the paper, so both feel about right. The hardcover is much denser and heavier. But first I had to get an account with LSI. This proved to be one of the more subtasks. First you sign up on their site and fill out like a million pages of forms. Then days later they send you questions. Then you answer them. Then you fill out more forms online. You need to provide credit terms or a credit card to fall back on. The don't take Amex — Grrr Arg! You need proper tax information (like an EIN). Then they insist that you print out about 75 pages of contracts, sign them, fill out lots of paper forms, and fax them back! This almost defeated me. I detest forms, paper, and fax machines. But I plunged on. LSI's interface is also a bit obtuse, nowhere near as easy as CreateSpace. But it was manageable. You need your own ISBNs too, which wasn't a problem as I'd bought a block of 100 from Bowker. The hardcover, paper, and e-book editions all need separate ISBN's, but the various e-book versions all share the same one. An additional tip with this is to make sure that all of your ISBN's are listed on your copyright page with the edition names (i.e. hardcover XXXX paperback XXXX). That way the same interior PDF will work for all. Now the only thing that is really different is the mechanical. For those of you who don't know, a mechanical is the big carefully assembled CMYK PDF used to print your cover. The above hardcover mechanical has the front, spine, back, and both flaps, plus the ISBN bar code and the proper crop marks. There are websites/programs to generate you barcodes (pro mac one or a free web one). LightningSource has a nice (but buried) tool that generates PDF or InDesign templates. You pick the size of your book, the type of paper, and the number of pages (which affects the spine) and it will generate these files and email them to you. Then fire up Photoshop or InDesign and carefully layout the elements on top of the template. The second mechanical (say after the paperback, which is similar) doesn't take too long for someone skilled with these programs. I'm excellent in PS and decent at ID, but I still hired an experienced jacket designer to do the layout. I didn't want any element of my book looking amateur. Having at least some basic skills with both these programs saves you a lot of money and time. But you do have to decide what goes where and develop all the copy for the hardcover layout. 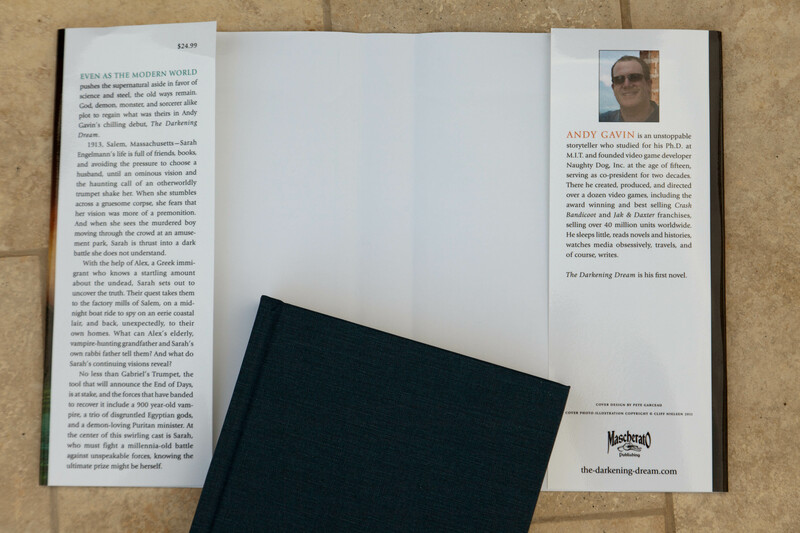 The synopsis on the left flap is typically longer than the one on the back of a paperback, plus you'll need the author photo and bio for the right. You also have to be careful to use LSI's template. They will not accept the mechanical if it's not on their EXACT template file, even if the dimensions are otherwise correct. My jacket designer used his own template for the first pass (although he matched the sizes perfectly) and I had to swap it out underneath the layout in ID to get LSI to take the file. Also be very careful not to project any important elements like text outside the safety zones. LSI spends some care examining your mechanical and will bounce it if it isn't perfect. Plus, unlike CreateSpace, they charge some money for the setup. About $125 + an optional $35 for a printed proof. You'll want to pay it too because the digital proof doesn't tell you anything about how your alignment actually looks on the book. Everything at LSI runs a bit slower than at more automated companies like Lulu or CreateSpace. A day or two instead of hours. But they do pay more attention. I received multiple emails about exactly what issues my first mechanical had, including zoomed jpegs of the problem areas. The LSI agent responded rapidly and helpfully to what was probably a fifteen email exchange. This even included some complicated discussion about the CMYK “ink density,” a subject about which I knew nothing. Now I know just a tad more. Apparently, black areas can have too much ink coverage for certain printing processes. Who knew? But we got it sorted. I built a new mechanical and a day later it passed. About two days after that they overnighted me the paper proof. It looked pretty much perfect. The only problem is in the alignment of the text on the spine, which on this particular proof is about 1/16″ off center. It's not in my file, but they folded the dustjacket slightly off center. POD has a bit of variation from book to book and supposedly some of them will be perfect and some will be a little off. It's not really noticeable unless you are looking for it and a large percent of “regular” books on my shelf have off-center spines. Also, in keeping with the slower pace, it takes LSI some mysterious time between one and eight weeks to propagate their information to Amazon. Eventually, it's supposed to just show up there, and a few days after that, merge itself with the Kindle and paperback editions. Likewise changing your description and price via LSI takes forever. And this brings up the whole pricing issue. LSI allows you to set the “discount” on the book. CreateSpace has a hardwired 40% discount but on LSI you can move it to 20% which forces Amazon to take a lower percentage. I chose $24.99 as my list and set the discount to 20%. We'll have to see how this works out and what Amazon does with it. 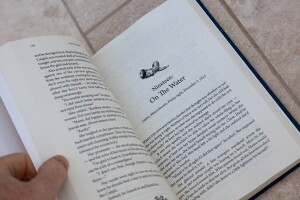 Like most of publishing, building the hardcover is made up of a variety of subtasks that while individually not too significant, end up taking considerable time. Still, holding the gorgeous fellow, it's worth it. The flaps and the blue fabric cover. You can pick blue or gray. An ominous vision and the discovery of a gruesome corpse lead Sarah Engelmann into a terrifying encounter with the supernatural in 1913 Salem, Massachusetts. With help from Alex, an attractive Greek immigrant, Sarah sets out to track the evil to its source, never guessing that she will take on a conspiracy involving not only a 900-year vampire, but also a demon-loving Puritan warlock, disgruntled Egyptian gods, and an immortal sorcerer, all on a quest to recover the holy trumpet of the Archangel Gabriel. Relying on the wisdom of an elderly vampire hunter, Sarah’s rabbi father, and her own disturbing visions, Sarah must fight a millennia-old battle between unspeakable forces, where the ultimate prize might be herself. Andy Gavin is an unstoppable storyteller who studied for his Ph.D. at M.I.T. andfounded video game developer Naughty Dog, Inc. at the age of fifteen, serving as co-president for two decades. There he created, produced, and directed over a dozen video games, including the award winning and best selling Crash Bandicoot and Jak & Daxter franchises, selling over 40 million units worldwide. He sleeps little, reads novels and histories, watches media obsessively, travels, and of course, writes. 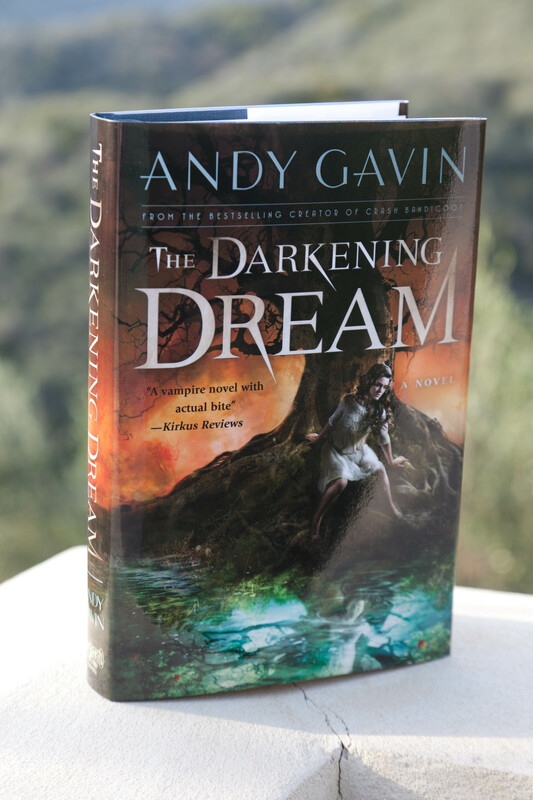 The Darkening Dream is his first novel. 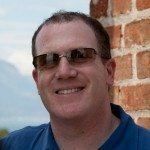 You can learn more about Andy on his book website, his author website, or on Facebook and Twitter. Your missing reason #6: Libraries treat hardcover books better than paperbacks. Paperbacks get stuffed in carousels, and if they’re too big–bigger than 5.5″x8″–they can get damaged. I learned this the hard way, which is why I’ll be uploading a smaller version of my book to CreateSpace while we work on formatting the larger Lightning Source hardcover. Lightning Source, because of its connections, should also make it easier for libraries to purchase my book. I’ve wondered about publishing with Lightning Source as opposed to Createspace, so thanks for detailing the particulars. This is helpful. 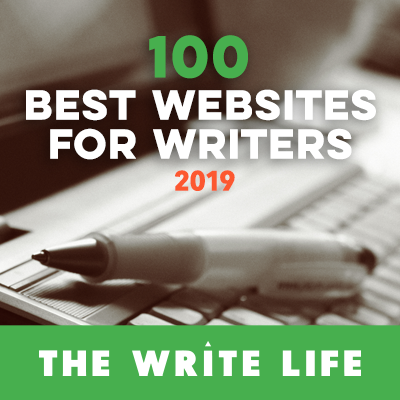 As one who has jumped through the Lightning Source hoops to gain publisher status,as BaldyBooks, I appreciate the work that went into getting this blog post right. I also appreciate the desire to offer a hardback version of your novel. I guess that it was the simple passage of time that kept me from that option. Since I do all 14 of the jobs that BaldyBooks requires, I couldn’t wait another year to go live. Tnx for sharing your ride. p.s. When Amazon stopped giving LSI-printed books in-stock designation in listings, I decided to go with CreateSpace and am happy with the quality of my trade paperback. My book is always in stock. Fantastic article! Getting a hardcover done is something I’ve toyed with for my own works, and I truly appreciate this breakdown of the process. Plus, the book looks amazing! I’d love to have the name of your cover designer and book designer! 🙂 Kudos on a job well done! Thanks in advance, and good luck with the book sales!